Find the best integrator to put Odoo in the company. Expertise and experience of an Odoo partner for the success of your project. Programming and customization of the software to the company's needs. Training of users for a quick adoption of the software in the company. Customer support after the implementation of the Odoo software. Captivea is an Odoo partner and supports companies in the implementation of Odoo software from start to finish. Our teams of Odoo experts support companies in defining their needs, configuring and customizing the software, integrating and deploying the software, and training users. Captivea then offers a support service to support its customers over the long term. The Odoo software will evolve with the company's growth. 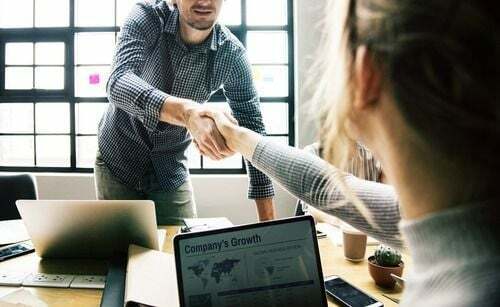 Captivea's Odoo experts offer companies the best evolutions and adaptations to ensure that the software is always more efficient and adapted to their needs. The customers for whom we have set up Odoo are very satisfied with our work. Our clients are companies of all sizes and in various sectors of activity. We know how to adapt to all companies to offer them the best customization of the Odoo software to allow them to increase their profitability.